In hospital pharmacy today, there is much discussion regarding the “closed-loop” medication use process. By definition, this is having technology throughout, seamlessly connecting prescribing through administration. It generally refers to initiation of a medication through an integrated computer physician order entry system, automated or robotic preparation of the medication specific for the patient by the pharmacy, and bar-coded medication administration by the nurse. All of these are integrated functions with bi-directional flow of information, automated patient billing, and minimal human intervention. While having ownership over the medication use process is an extremely important function, I believe the profession also needs to lead in the development of “closed-loop” patient care services. To better understand this concept, we need to recognize the breadth of a patient’s health care journey. The vast majority of this time is spent in the ambulatory setting, visiting various clinics for health monitoring. The goal is to keep the patient healthy. While a tremendous amount of resources are devoted to acute care services and the majority of hospital pharmacy focuses on this admission, this is really just a point in time in the overall patient journey. Because of this, ensuring that the transition of the patient in and out of the hospital should be an essential activity of the acute care pharmacist. Singular platform for the information system. The ideal situation is to have a universal information system that spans both acute and ambulatory care. With this type of system, information about the outpatient and inpatient transactions is contained within one portal and is visible by all professionals. If a singular vendor is not possible or realistic, ensuring a bi-directional and seamless interface is critical for robust information flow. Acute care pharmacists managing the transitions. Once a patient gets admitted to the hospital, a member of the pharmacy department needs to be collecting an accurate medication history, updating the electronic health record, and reconciling all medications. As the patient prepares for discharge, similar activities should occur. The goal should be to ensure that all records are accurate as the patient transitions out of hospital and that the patient is fully educated on their medications. Integration of all pharmacy dispensing records. While it would be ideal that the same pharmacy is responsible for dispensing all medications for the patient, this usually does not happen. Instead, it is fragmented and the primary care providers have no access to pharmacy refill and dispensing records. This should not be the case. Being able to track patient adherence rates, knowing which medications patients do not get refilled, and understanding any issues they are having with their medications is critical information for the provider. Having this information can lead to recommending strategies like adherence-based packaging, less expensive medications, manufacturer assistance programs, or other interventions to ensure that patients receive and take their medications. Pharmacist presence in the clinics. As the patient transitions out of the acute care environment, rapid follow-up by a pharmacist in the clinic setting is extremely important to prevent readmissions. This visit, ideally within 7 days, allows the pharmacist to reinforce the education provided at discharge, review the medications the patient should be taking, recommend medication additions or deletions, and update the information system with the correct medication list. In addition, at subsequent visits, this pharmacist can re-educate the patient on their medication and disease states, monitor the effect of the medications, review medication adherence rates, and document the plan of care for all to view. Having this presence in the clinic can probably positively impact patient care throughout their health journey more than anything else, and limit the admissions to the hospital setting. Everyone in health care is talking about maximizing quality and minimizing costs. I personally believe that having the pharmacist actively involved in both acute and ambulatory care, as well as integrated electronic health records with pharmacy dispensing information is the best mechanism to achieve this aim. This closed-loop patient care service recognizes not only the important role that pharmacists can play in the management of patient care, but also the appropriate use of the drug product and the monitoring of its effect. I would appreciate any insights and experiences you might have on this perspective. Feel free to comment below. You can also let me know what you think by email at seckel@unc.edu. You can follow me on Twitter at @stepheneckel. 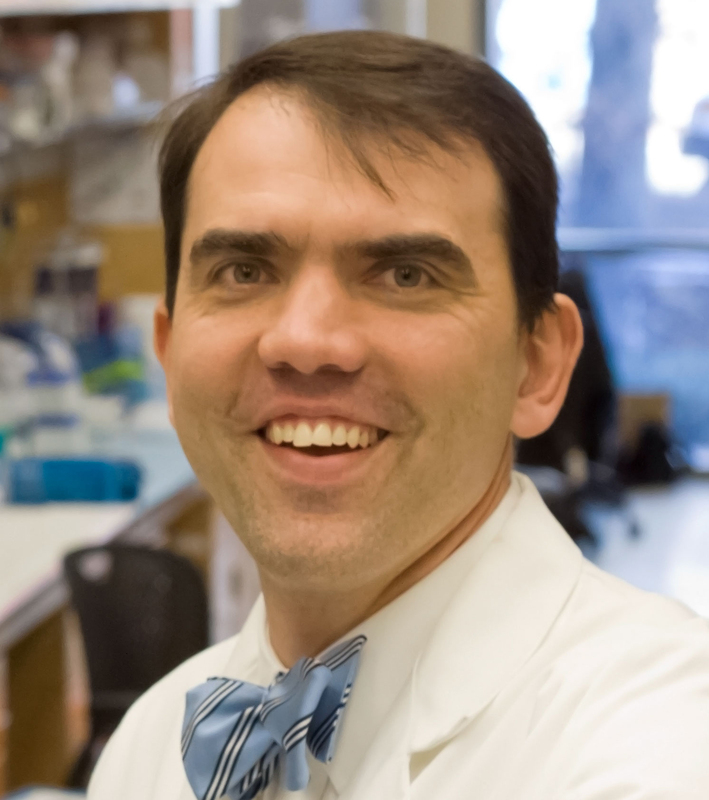 Stephen F. Eckel is a clinical associate professor in the Division of Practice Advancement and Clinical Education at the UNC Eshelman School of Pharmacy. In addition, he is in charge of the two-year master of science in pharmaceutical sciences with a specialization in health-system pharmacy administration. At UNC Hospitals, he is associate director of pharmacy, where he leads and develops a dynamic group of patient-care providers, and director of pharmacy residency programs.